Kosy Grove offers 4 bedrooms, which can be reserved individually or you can reserve the entire house. We offer Wifi. 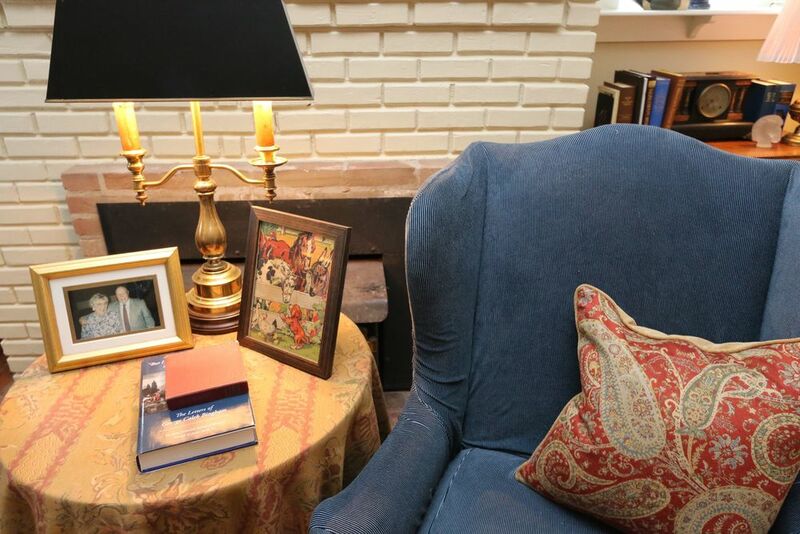 The 3 upstairs bedrooms are named after family members and feature distinctive decor that reflects the personalities of a beloved family member. 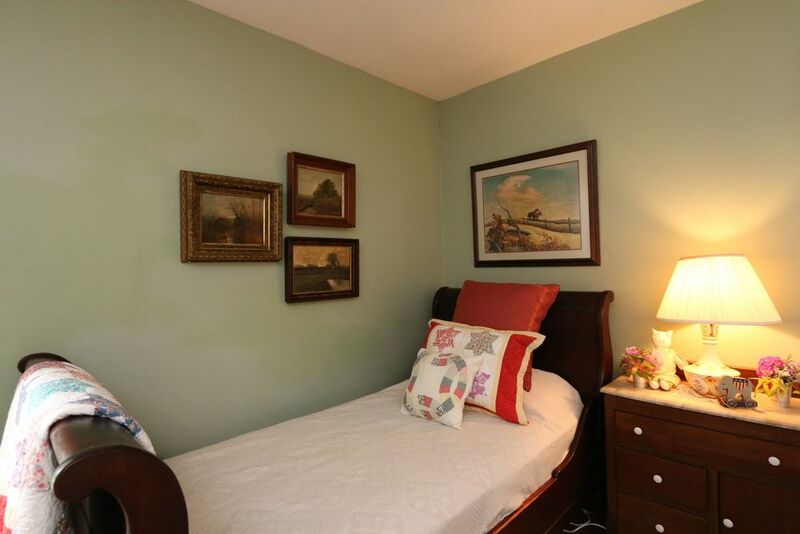 The Parlor bedroom is located on the first floor and has an ensuite bathroom that is handicap accessible. 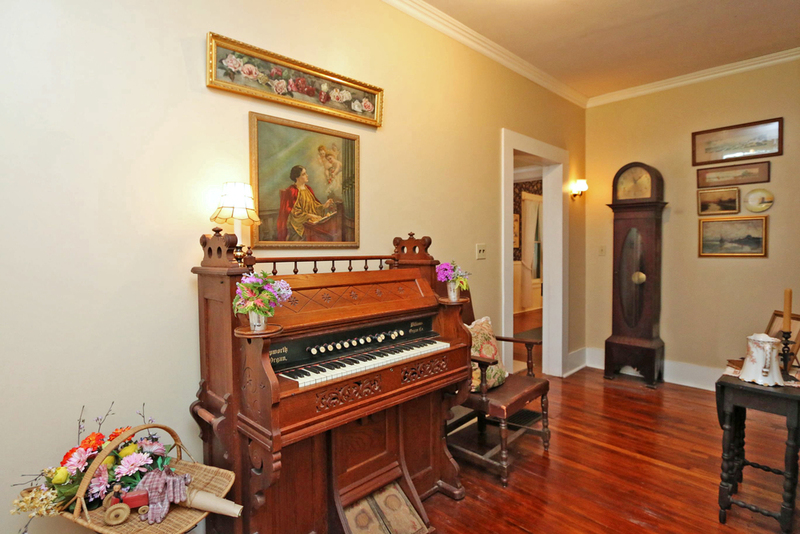 Located in the original 1846/7 portion of the house, it is furnished with family heirlooms. 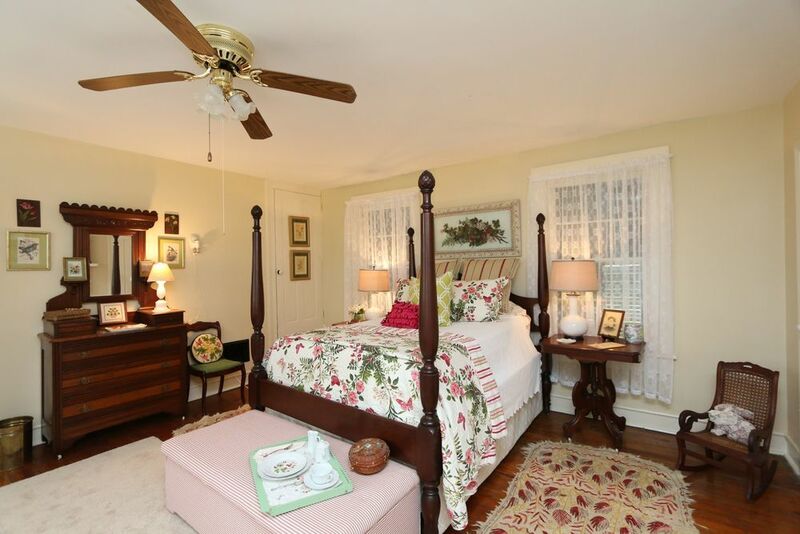 Aunt Grace’s bedroom is decorated in a serene blue and white palette and furnished with family antiques. Aunt Grace was the gardener in the family. She raised incredible fruits and vegetables. Her flowers could have won at the county fair. Grace’s room is located upstairs in the original section of thehouse with northern and southern views where she could keep an eye on her gardens. 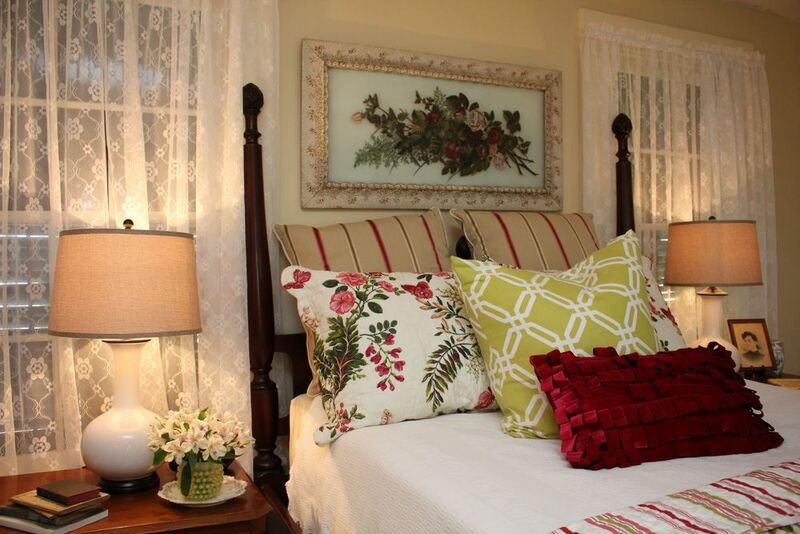 Aunt Nan’s bedroom is decorated in a cream and burgundy palette with antique four-poster bed. 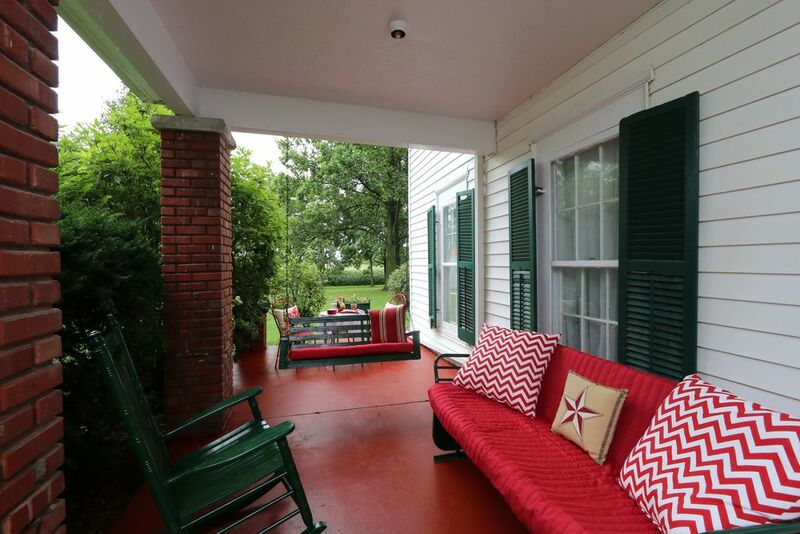 Located upstairs in the original portion of the house, it overlooks the front lawns. Aunt Nan, born in 1861, was a gifted seamstress. 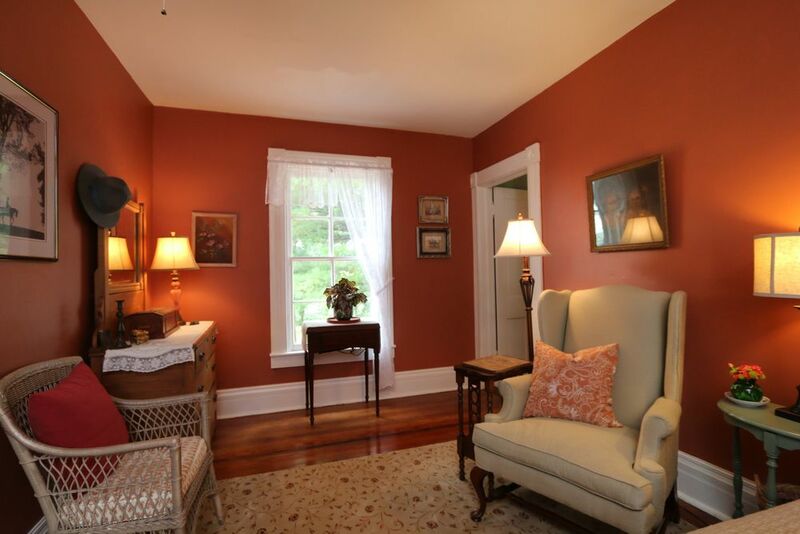 The Aunt Alice/Uncle Ernest Suite is located upstairs in the “new addition” to the house, circa 1872. The suite sleeps up to 4 and has a private back staircase. 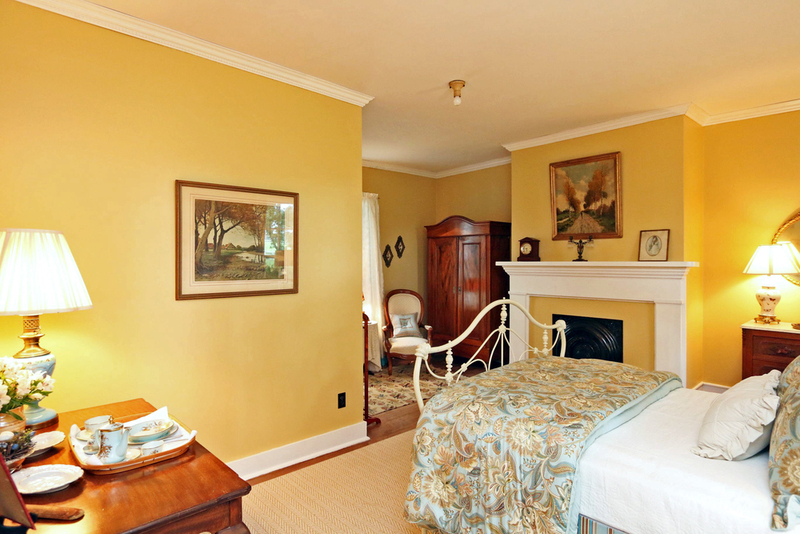 Alice’s room is furnished with a golden oak antique bed, wardrobe and dresser. Alice was the family cook and she was an extraordinary baker. (Oh, her biscuits.) Her room is warm and savory just like her and her fabulous cuisine. Ernest was a first foremost farmer, but he also had a great scientific mind. He was one of the early producers of hybrid seed corn. His room looks out on the green fields he loved so much. 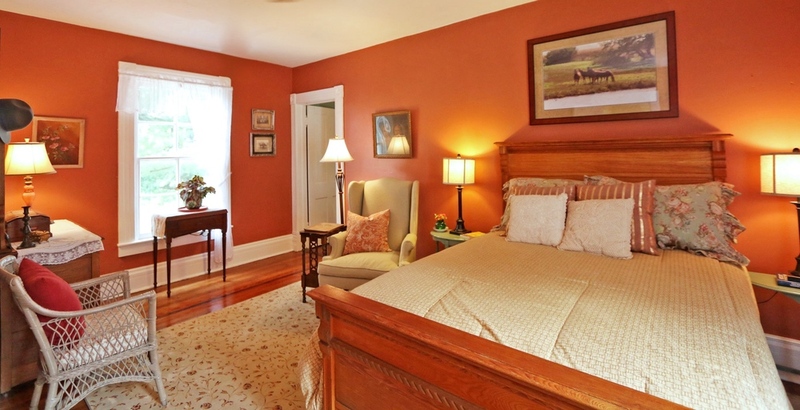 It is decorated with antique twin sleigh beds, landscape paintings and Indian artifacts. The living room at Kosy Grove has always been the center of family life. Large and comfortable, it’s the perfect place to relax or have an informal meeting. There is a television for your viewing pleasure. (But ,why would you want to watch it when you could be talking to your friends and family? )Take a look inside the antique secretary bookcase. You can see some of the artifacts A.J. McRoberts II picked up on his trip to the west in the 1890’s. Or take a look at the artwork. We call this the Bingham room because all the artwork is by Arrow Rock, Missouri artist George Caleb Bingham. The dining room is so inviting. It is very large, easily seating 18 for dinner. The massive oak table is extra wide making it perfect for family dinners or corporate events. The gorgeous mahogany sideboard is a prized family heirloom. The bay window floods the dining room with daylight or can be a romantic little hideaway for a glass of wine in the evenings. The kitchen is homey. It still features a portion of the original butler’s pantry. There is an electric range/oven, microwave and side by side refrigerator. The kitchen table can expand to accommodate up to eight. This is the gathering spot. So many wonderful conversations have convened around this table. The side porch was added in the 1870’s. 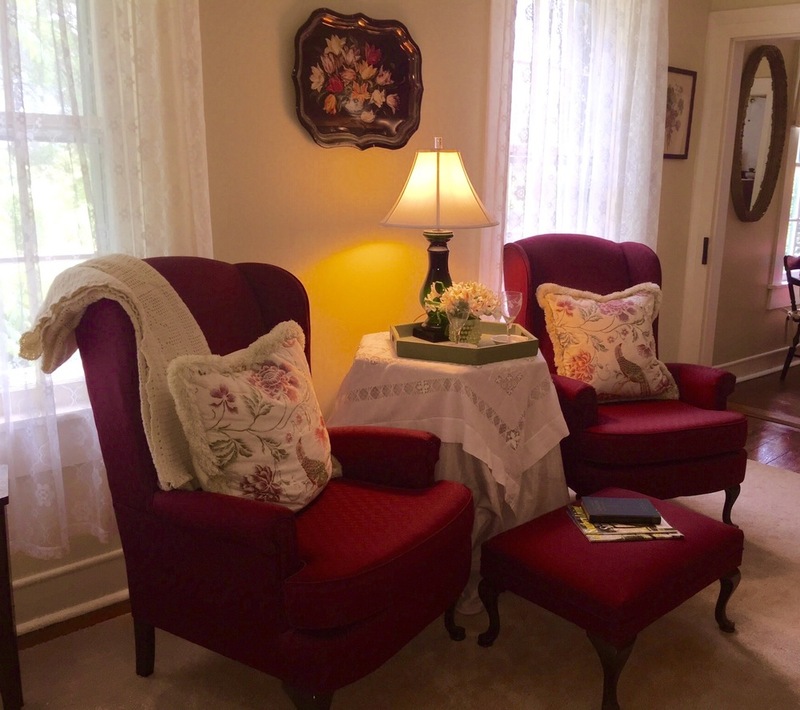 It is one of our favorite places to sit and relax. 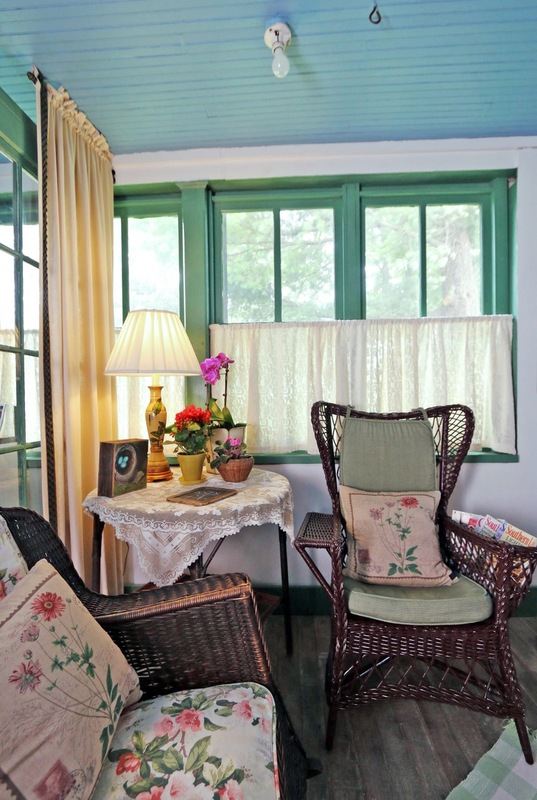 You can have your morning coffee and look east to the fields or nestle in to an antique wicker chair and read a great book. The house was built with a center hall plan featuring a reverse staircase, which was highly unusual. Photograph’s of four generations of A.J. McRobert’s descendants grace the foyer. Take special note of photograph of A.J. IV (Mac) and his new bride (Doreen). They met in church, while she was playing THE organ. 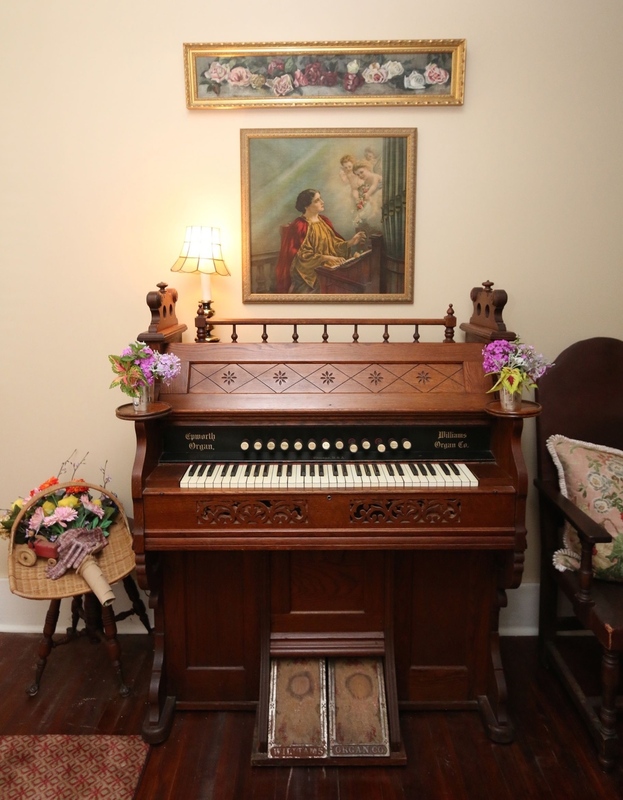 Her organ is now proudly displayed in the foyer. St. Cecelia, the patron saint of musicians, hangs above. The veranda was added in 1912. It offers sweeping views to the north, east and west, running the full width of the house. It is a wonderful gathering spot, capable of seating a large number of guests.